Stanislaus State is a member of the NCAA Division II and fields 14 men’s and women’s athletics teams in the California Collegiate Athletic Association (CCAA). Our teams consistently compete for conference and national championships while maintaining high academic standards for our student-athletes. 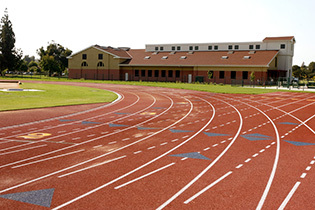 From the university's brand new all-weather track - complete with lighting for nighttime games, stadium seating and scoreboard - to our tennis, basketball and volleyball courts, baseball and softball fields with new lighting, we have it all. 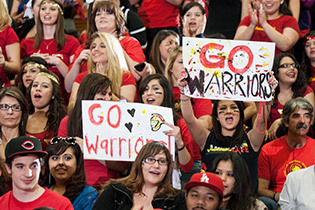 The Warrior Athletic Camps at Cal State Stanislaus provide opportunities for athletes of all ages to develop their skills in a fun, sportsmanlike environment. 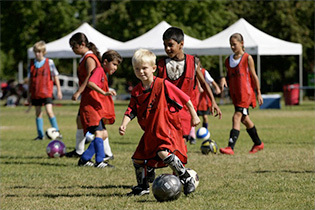 We offer a variety of camps and clinics in a number of sports and activities.